Many people have made the point that, for all their alleged disdain for “revisionist” history, those who hold to a “Southern” view of the war are themselves embracing an explicitly revisionist historical narrative. It’s a narrative that was carefully crafted in the decades following the Civil War to exonerate the Confederate cause, depict Southern leaders in the most flattering and noble way possible, and to undermine or denigrate the Union effort to highlight the contrast. This effort, which lies at the core of the Lost Cause, probably reached its zenith in the second decade of the 20th century. But with a few concessions to modern sensibilities — e.g., “faithful slaves” have now become “black Confederate soldiers” — the narrative remains largely as it was a century ago, and is held dear by many. But great longevity doesn’t make a revisionist narrative any less revisionist. Yesterday General Sherman returned to the scene of this destruction and disaster, and looked upon the answer that our people have made to his torch. A proud city, prosperous almost beyond compare, throbbing with vigor and strength, and rapturous with the thrill of growth and expansion, stands before him. A people brave enough to bury their hatreds in the ruins his hands have made, and wise enough to turn their passion towards recuperation rather than revenge. . . . It would be a stretch to say that Sherman was popular across the South, but it was clear that he was not considered the reviled monster he later was to become in some quarters. Davis’ accusations struck a chord with Southerners, who by this time had come to see the former Confederate president as the living embodiment of the Confederate cause. 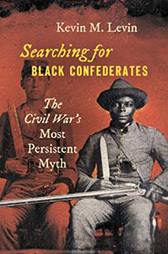 Sherman provided a useful focus for the lingering resentments of former Confederates, and Davis’ book proved to be the essential catalyst. Sherman came to be reviled not so much because Southerners viewed him that way of their own experience, but because Jeff Davis told them they should. Sherman and Davis would continue to spar over Davis’ accusations for the rest of their lives — Davis died in 1889, Sherman in 1891 — but the preferred Confederate narrative was set. Despite fifteen postwar years of enjoying relatively good relations with Southerners and an ongoing affinity for the South, Sherman was successfully cast as something inhuman, a monster, responsible for depredations nearly unmatched in human history to that point. Many today still believe that; more, in fact, than seem to have believed it in the years immediately following the war itself. Whatever one happens to think of Uncle Billy, Bassett’s article really is a must-read as a practical example of the way historical narratives are shaped, refined, and sometimes abused. 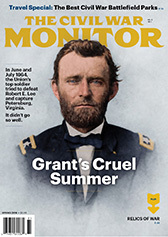 Civil War Monitor Editor-in-Chief Terry Johnston and his team have been working hard to challenge conventional ways of looking at the conflict, and Thom Bassett’s piece is an excellent example of how they’re doing just that. It really is not your father’s Civil War magazine. Great article. A much-needed re-analysis. Terry Johnston passed along your blog post to me, and so I want to say thanks for such a thoughtful and incisive assessment of my article. I think you’re doing great work here, and I look forward to reading you in the future. Thanks for the kind words. Terry shared the cover with me a few days ago, and I knew that would be an article to look for. There’s a lot more in your piece I’d like to discuss here, but folks need to seek it out on their own — it really is worthwhile. Thanks for the heads up on this article. I just subscribed to the digital edition. IIRC Varina Davis had put one of her overcoats on her husband, which led to the rumor that he was dressed as a woman. Jeff Davis and other senior Confederates had good reason to expect to end up on the scaffold, given the rhetoric that was flying at the time. I’ve noted before that one of the senior Confederate generals in the Trans-Mississippi, John G. Walker, went to Mexico and then to the UK rather surrender because, as he explained in his application for a pardon, he believed he would likely face a military tribunal. One might argue what-ifs whether such a course would have “better” (and how does one define “better,” anyway?) if there had been trials and imprisonment or executions, but that’s using hindsight. When Davis was captured in May 1865, it was a wide-open question. –from a telegram, dated 9 Oct 1864, from W.T. Sherman to U.S. Grant. Of course, the subject here is how he was viewed in the South in the years after. Why do you think there was such a dramatic change in the way he was perceived, years after the war ended? Do you agree with Bassett’s thesis or not, and why? It appears that I can’t read the full article without a subscription, but I’d be curious to see if the piece addresses how Sherman was perceived in South Carolina in years immediately following the war. Given the swath of devastation his troops left in the state, and the memories of wanton destruction and looting from his “bummers,” I would expect that Sherman would not have been all that well received in the Palmetto State. However, that is simply my gut feeling nearly 150 years after the event. The full article is behind a paywall, but Bassett does go into some detail on the New Orleans Mardi Gras example, and his visit around the same time to Atlanta. Bassett’s point is not that Sherman was well-liked in the South, and absolutely there was resentment about the destruction his army had caused. But Bassett makes the point that, to a large degree, those were seen as more broadly consequences of the war, and Sherman individually was not held to be the inhuman ogre that he later came to be, after a deliberate, ongoing effort by Davis and others. Bassett doesn’t get into the case of South Carolina, but it would be interesting to see if there was a similar pattern there. 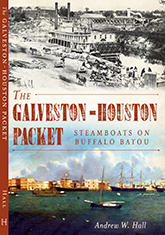 One thing that Bassett makes clear is that prior to 1861, Sherman had spent most of his adult life in the South, and had a great fondness for the region and its people — which to him, meant the upper stratum of white Southerners. He was largely indifferent to the practice of slavery, finding it problematic, but also reflecting the (to him) proper hierarchy of the races, and beneficial to both. (In this respect his views were strikingly similar to Robert E. Lee’s.) He never lost that affinity for the South, but the one thing he loved more than that was the Union, and he was tenacious in crushing the rebellion. I think it’s accurate to say that Sherman saw himself as a friend of the South, but a mortal enemy of the Confederacy. I took a quick look at some newspaper articles (GA and LA in 1879). Sherman had a rather cool reception in Georgia and is barely mentioned in Louisiana papers. The evilization of Sherman – a “Lost Cause”/”neo-Confederate” conspiracy? I don’t buy it. He’s mentioned quite a bit in the New Orleans papers (which were repeated across the country), and extensively in the Atlanta papers from his visit in 1879 — that’s where I pulled the extended quote. Front page, column 1, above-the-fold. You can’t get more high-profile coverage than that. Are there specific points in Bassett’s article that you disagree with? I know you too well to let you get by with a simple “I don’t buy it.” You can do better. I’d like to know which articles you have in mind. I’ve read as many of them as I could track down, and I have a very different sense of what they show about Sherman’s reception. Also, I’m not at all arguing that there was a “conspiracy” involved in how Southerners perceived Sherman after the war. My argument is that that perception shifted over time, and that the fight between Davis and Sherman contributed in a significant way to that change. Something very different than asserting some sort of conspiracy was involved. South Carolina, in my view, clearly stands apart in how it viewed Sherman right after the war. Just a few weeks after Columbia burned, William Gilmore Simms, a well known Carolina writer, published a series of newspaper articles that accused Sherman and his men of terrible depradations against the city. (We can debate the extent to which those accounts reflect historical reality; what happened in Columbia the night much of it burned is a very complicated question, something I try to get at in my novel. 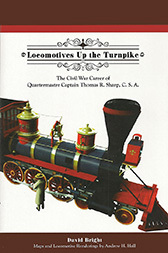 Marion Lucas’ book, Sherman and the Burning of Columbia, is the most thorough and fairest scholarly exploration of the topic.) That, plus the extent of damage inflicted against the citizenry during the march up from Savannah, led South Carolinians to see Sherman in a much more damning light, and sooner, than most other Southerners in the aftermath of the war. Thanks to the contribution of Iowa’s sons, who have yet to relinquish the stolen goods taken from Georgia, Missouri, Tennessee, Mississippi and Louisiana, your attempt at starving and committing genocide against our ancestors was foiled by your ignorance, as you did not know why southerners kept such large stores of black-eyed peas, thinking they were only feed for livestock, you left them untouched. And thereby was the custom born in the South, in which it was great good luck, or divine good favor, that the genocide was averted by Georgians’ discovery that this food source remained, and on January 1st of 1865 the custom began of having a meal of black-eyed peas in thanks for God’s good favor after the visitation of Satan himself. You will have to be more careful next time. See you then. Now I do love me some black-eyed peas at new Years. But apart from that, I have to ask: is this “starving and committing genocide against our ancestors” by “Satan himself” business intentional self-parody, or entirely serious? He doesn’t even bother to change the title that much. I’m not sure you can call one article a “rip off” of another, when the former cites the latter extensively, all the way through. Did you miss that? I guess I did. I owe Thom an apology. Bassett seems to be a pretty decent fellow. We all jump the gun occasionally. If this is going to end in a group hug, I’m outta here. Any kind of hug, full stop. Been working on a series of articles on anti-Sherman rhetoric. The fitrrst to go out searching publication will cite Lincoln’s spring, 1862 orders to all federal field commanders to seize the real and personal property of all U.S. citizen civilians who supported the rebellion. Among these orders was the planned “first” proclamation freeing all slaves in the rebel states, thereby in effect nullifying the state laws sanctioning slavery. Included in “personal: property were of course slaves. Under Grant as general-in-chief beginning in the fall of 1864 Lincoln’s orders were systematically fulfilled, leading to Sherman’s deliberate depradations on the southern economic base, and later to Sheridan’s similar treatment of western Virginia. Arguable is the point made by some that Pope’s notorious anti-Virginia citizen orders in 1862 directly reflected Lincoln’s own thoughts. The story on this latter point has yet to be told in detail. .What the south suffered starting in 1864 was in effect “economic warfare,” and the true “demon” is one A. Lincoln. BTW, southerners seem to forget that Sherman was a subordinate in a chain of command. Whatever his personal opinions, he was doing what he was ordered to do. Among these orders was the planned “first” proclamation freeing all slaves in the rebel states, thereby in effect nullifying the state laws sanctioning slavery. Included in “personal: property were of course slaves. This is Butler’s 1861 “contraband” order made national policy. Southerners (then or now) should not be surprised at this; the secession of the deep South states in the winter of 1860-61 was explicitly driven by the desire to protect the institution of slavery and the unfettered right of citizens in those states to hold such property. If a nation chooses to live by the principle of human chattel, it can as easily die by it, as well. Under Grant as general-in-chief beginning in the fall of 1864 Lincoln’s orders were systematically fulfilled, leading to Sherman’s deliberate depradations on the southern economic base, and later to Sheridan’s similar treatment of western Virginia. . . . What the south suffered starting in 1864 was in effect “economic warfare,” and the true “demon” is one A. Lincoln. BTW, southerners seem to forget that Sherman was a subordinate in a chain of command. Whatever his personal opinions, he was doing what he was ordered to do. Folks would do well to read “The Hard Hand of War,” in McPherson’s collection of essays, This Mighty Scourge. Neither Sherman’s nor Sheridan’s actions suddenly popped up out of thin air; they were the tangible result of gradual shifts in views of how the war should be conducted in order to bring it to the quickest, most complete conclusion. It is the LostCause/NeoConfederate position and has been since the first surviving writings on the subject in the south–mainly by women–that Sherman’s depradations were the result of evil intentions combined with Yankee wretched manners. The place of Lincoln in all this business is generally ignored, and I know of no thorough treatment of the various orders that dictated economic war on the south. The order that Sutherland dug up occurs in (I believe) the fourth section of the OR, is issued over the signature of E. D. Townsend, Adjutant-General of the War Dept. and is addressed to “All commanders in the field.” Lincoln’s name does not appear. Here’s something to add to the conversation. I stumbled across this a few weeks ago while reading up on Thucydides.